Living near 45 degrees North latitude and 80 degrees West longitude means short days, long nights, cold temperatures, howling winds and blinding blizzards this time of year. Once I compiled my list of woes and stopped feeling sorry for myself, I suspected that a touch of seasonal affective disorder, aka S.A.D., might be the reason behind my funk. A little activity (that doesn’t involve shovelling snow) might be diverting and beneficial to my amplifier specifically and the sound of my system overall. Does anyone remember the old TV sitcom WKRP in Cincinnati? The one line in the show that sticks in my mind was Dr. Johnny Fever, the disc jockey, saying, “Christmas, the time of good cheer and bad music.” That about sums up the holiday season for me. So, in the interest of better music reproduction, of all sorts, I decided to show my amplifiers some love and treat the pins on all of the tubes with contact cleaner/enhancer. But rather than stopping there, treating all interconnects, speaker cables and even power connections seemed like a good thing to do too. I’ve had my main line stage and power amp for more than five years, but other than regularly checking and adjusting the bias, haven’t done much else. Time for a system tune-up. Note: Before you attempt this, leave your component(s) powered down and unplugged for at least 12 hours. This will ensure any residual charge in the capacitors will have dissipated so you don’t become a seasonal light display. Using vinyl or rubber gloves not only might give a better grip, but adds a bit of electrical insulation as well. 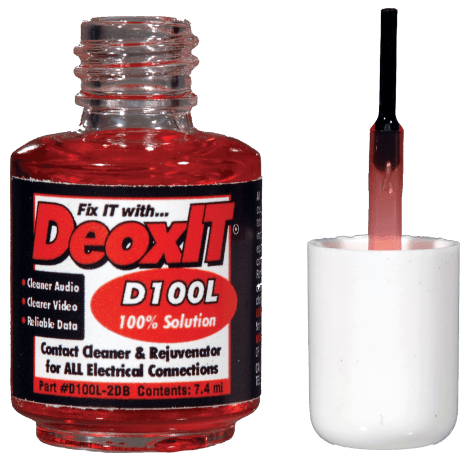 The cleaner/preservative I prefer is DeoxIT D100L-2DB from Caig Labs. 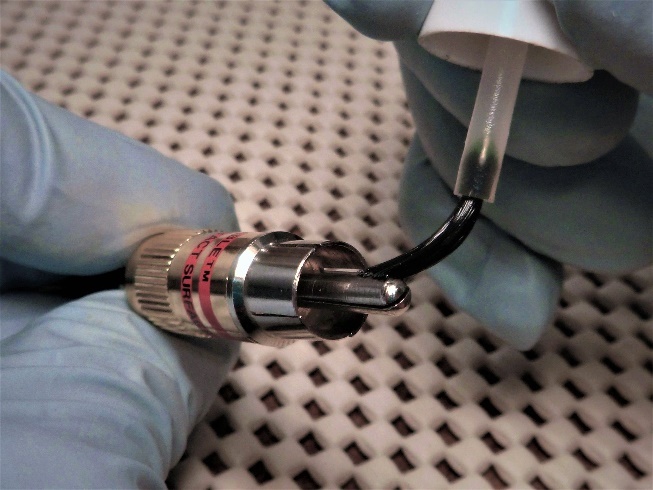 The 7.4 ml bottle with brush in the cap costs between fifteen and twenty-five dollars from the likes of Partsconnexion, Parts Express, Antique Electronic Supply or Markertek. On some shopping sites the price is outrageously inflated, so comparison shop. Though small, the 7.4 ml bottle should last for years. Gently remove the tubes one at a time to prevent confusion upon re-installation. It’s best to pull tubes straight out of the socket. That isn’t always possible to do in a controlled manner. If you must, rock the tube side to side very slightly, trying to limit the amount of lateral motion. If there’s a chance that the tube might strike something while removing it, cover the top of the tube with your free hand. See below. At this point you might be thinking, “My tubes have gold pins, and/or my sockets have gold contacts – so I don’t need to bother with this”. Chances are that both do not, and even if they do, the gold is very thin and could be worn through where the socket contacts actually touch the pins. So, you’re not off the hook, connection-wise, with gold plating. 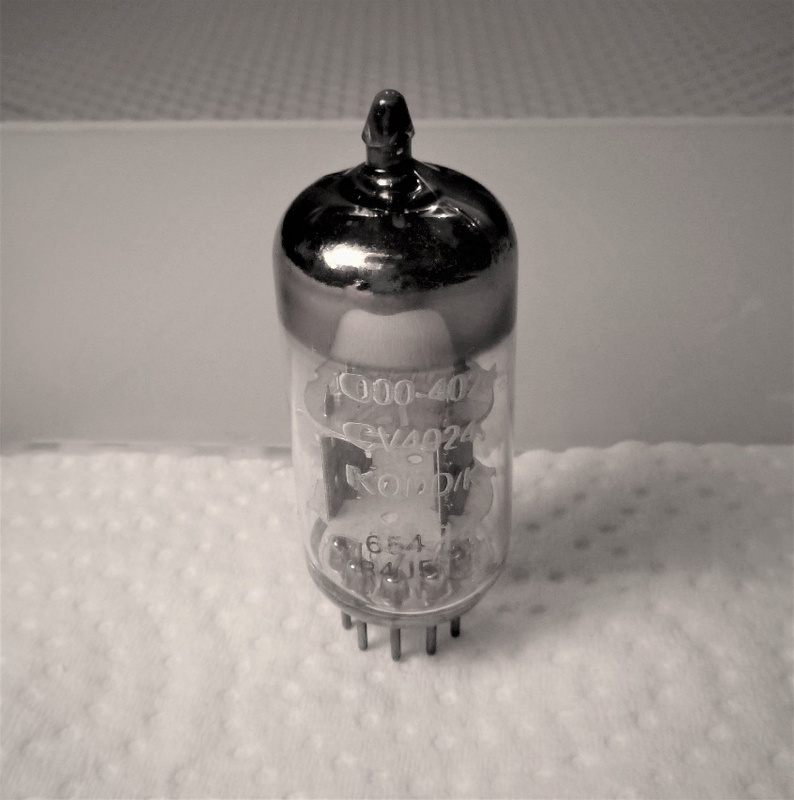 Many recently manufactured seven and nine-pin tubes have chrome or gold-plated pins. These typically just need a light application of DeoxIT and they’re ready to go. 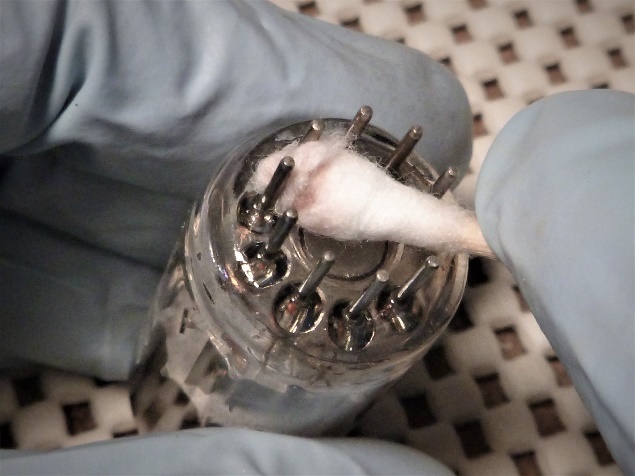 If you have tubes with plain, unplated pins, you might want to take the pin-cleaning regimen a bit farther. Pour about 6 to 8 mm of lemon juice into a shot glass or similar container. 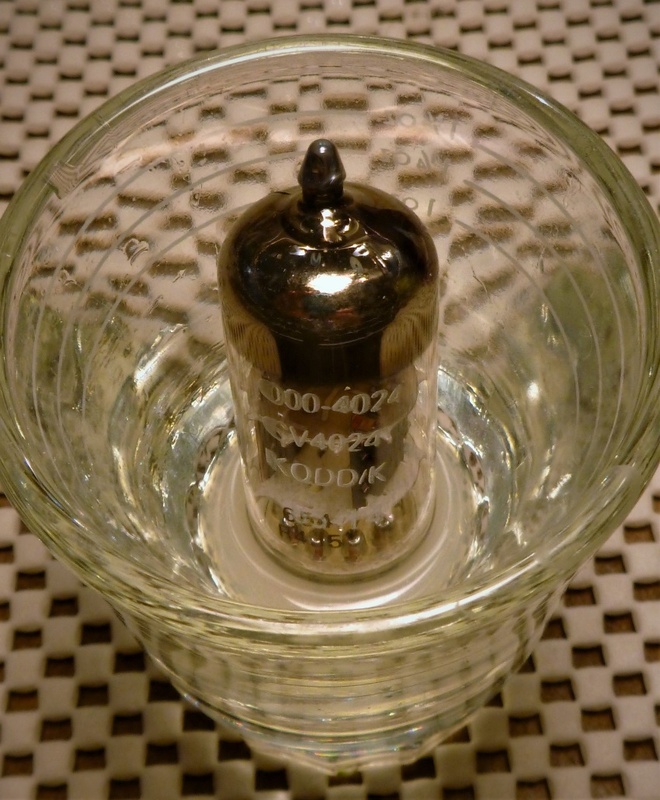 The container should be small so the tube remains upright. Place the tube pins in the juice and leave it for a few minutes, see picture. Remove the tube from the juice and rinse with water. Stand the tube up in a small container that has a layer or two of paper towel placed on the bottom. Leave it there until the tube is dry. Once the tube has dried, coat the pins liberally with DeoxIT and set aside for 15 minutes or so. Twirl a Q-tip between your fingers while pressing the swab against the pins. This will remove loosened crud and oxidization. 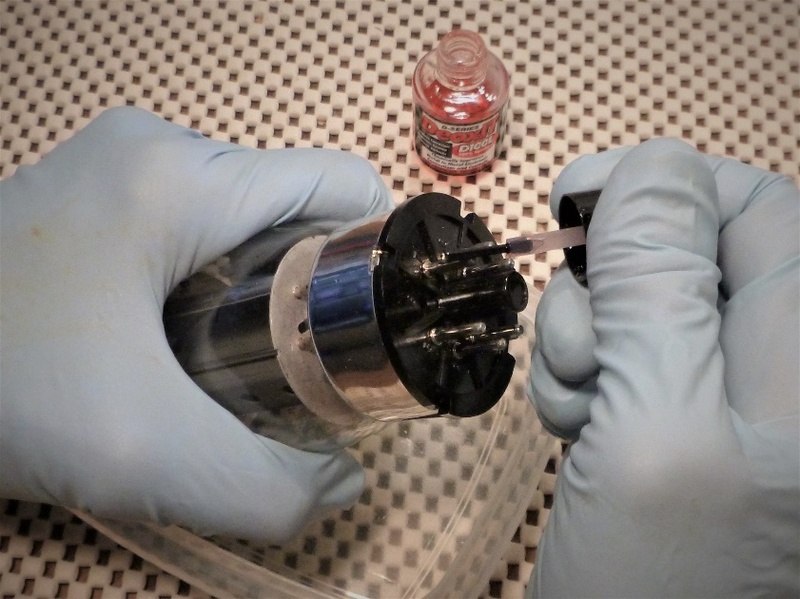 Apply a thin coating of DeoxIT on the tube pins and insert into its socket. 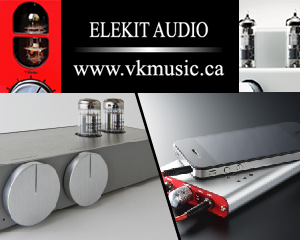 Now, you smug audiophiles with solid state amps – don’t think you’re off the hook. It’s time to treat interconnects, speaker connections and power cords too. 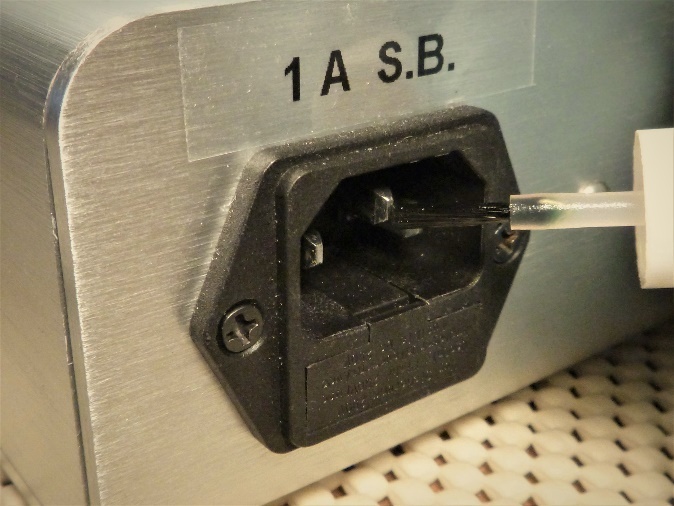 You may be thinking all of your plugs and jacks are gold plated and don’t need treatment. I’ll let you in on a little secret. 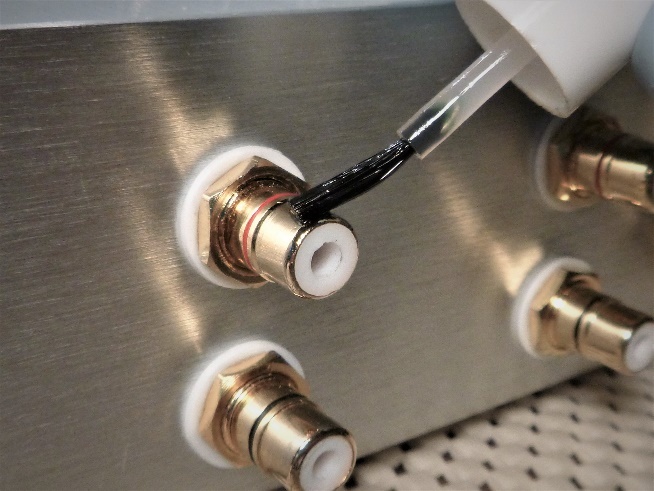 Most PCB mounted RCA jacks that have gold-plated ground connections DO NOT have gold-plated center contacts! So, brush a thin layer of DeoxIT on the ground connection of the jack and on the centre pin of its mating plug and you’re good to go. 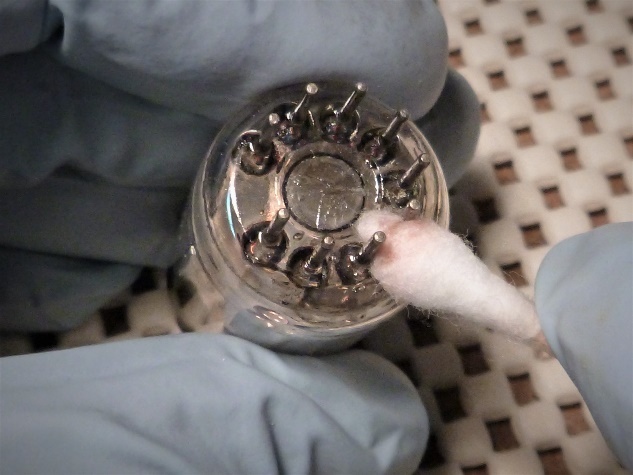 Many balanced XLR connectors have gold-plated pins, but not all of them. Brush a little DeoxIT on to these pins too. Now that you’ve come this far, you might as well treat the power cords and AC inlets as well. 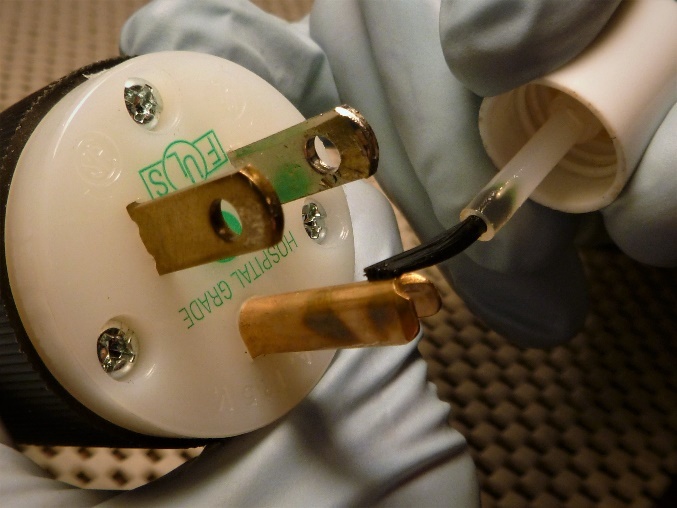 Brush a little DeoxIT on to the pins of the AC inlets and the pins of the AC plugs. Treat the speaker connections, amp to cables and cables to speakers. Did all of this make a difference to my system? Yes, I believe it did. The sound was smoother, more relaxed, yet at the same time more incisive and detailed. If you are looking for the mechanism for this improvement, I might have an explanation: metal oxides, besides having potential resistance, (think metal oxide resistors) can potentially be semi-conductors (think diodes). And what do we use diodes for? Rectifying AC and turning it into DC. Fine for a power supply but NOT something you want to do to an AC music signal. Earlier this year I repaired a headphone amp for a friend. The output jack needed replacing. He mentioned that if the tubes were touched while listening, crackling could be heard in the ’phones. After treatment, as detailed for the 9-pin tube above, the crackling was gone. I wrote this article before I took the pictures. Going back to do the setups for the pictures, I noticed there was a bit of green goo on an AC plug I treated a few days earlier. These aren’t exotic (read expensive) plugs, just decent hospital grade. I wiped the corrosion off and applied more DeoxIT. I’ll check this plug and all others again in a few days. We’ll leave aside the minefield of expensive cabling for now. I’m a little reluctant to venture into the cable debate. 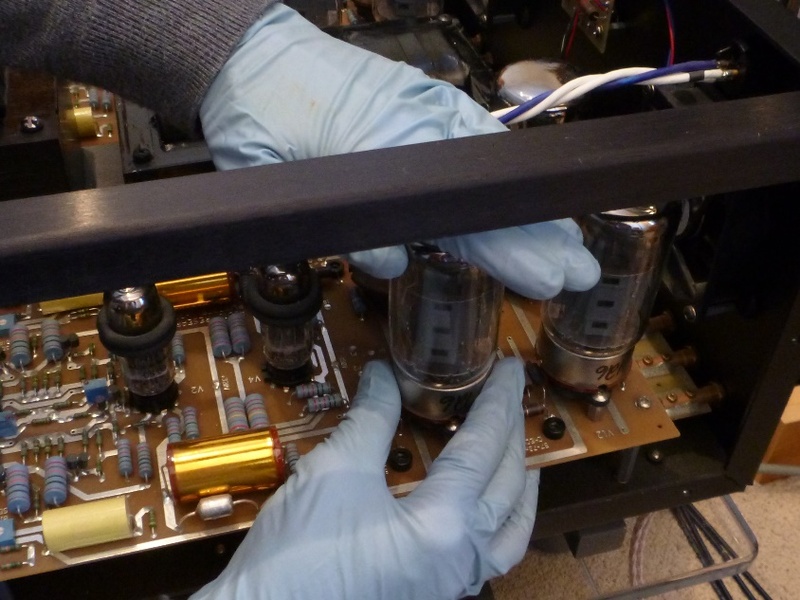 This can be more polarizing that the gulf between tubes and transistors. Lest anyone take offence, I’m not trying to promote the Christian holiday. My personal faith would best be described as indeterminate. An acquaintance once introduced me to his pastor as “my friend the atheist.” My wish for all is that we find some personal peace and be kind to each other. Have a safe holiday season, everyone. I have several component tests and articles that I hope to share with you in 2018. And there’s still some unfinished business with an A to D converter, a turntable or two, and at least one phono stage that I promise to get to. 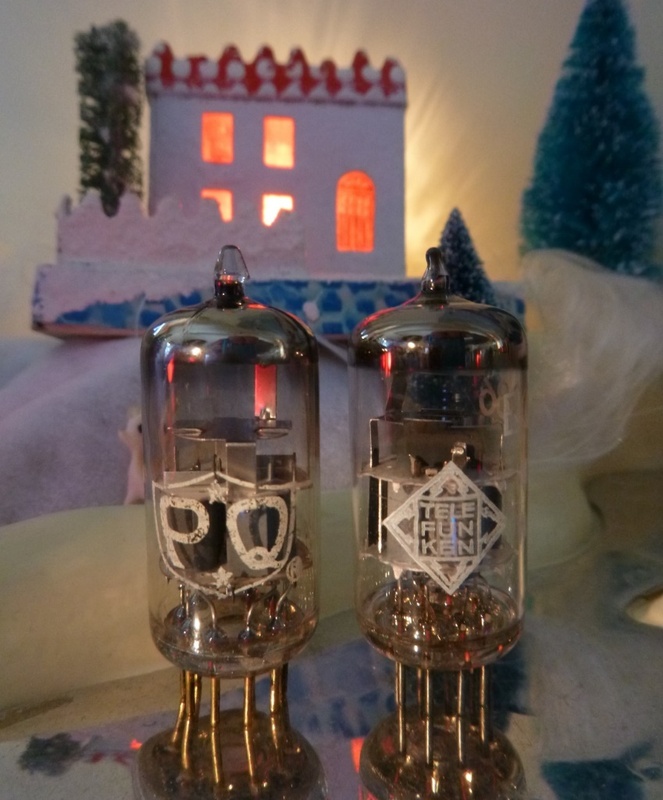 …And visions of rare old tubes danced in their heads. Your article is well laid out good practical advice and a timely reminder to undertake something I haven’t done for several years. When I have done this in the past there was not only the perceived audible benefit but the knowledge that anything that did not sound right was not due to poor contacts. Great article that nudged me to give some tlc to my system as well. Have a healthy 2018 Steve! Thank you both for commenting. Be sure to use the DeoxIT very sparingly especially on power tubes. I used a bit too much and once their higher temperature came into play could smell the excess evaporating the first three of four listening sessions after treatment.